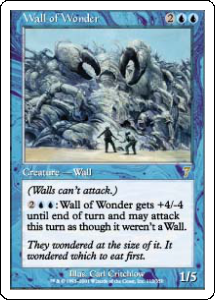 : Wall of Wonder gets +4/-4 until end of turn and may attack this turn as though it weren't a Wall. They wondered at the size of it. It wondered which to eat first.